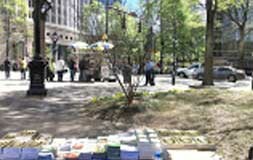 American Islamic Outreach had a successful Information Table event on Wednesday, March 30th at Uptown Charlotte.Over 360 English and Spanish translation of Qurans along with numerous Islamic literature, pamphlets and brochures were given out. This gave American Islamic Outreach and their dedicated volunteers a good platform to engage in communication with fellow American brother and sisters of different faiths. One of the main topics that were discussed and question answered, was about Jesus in Islam. 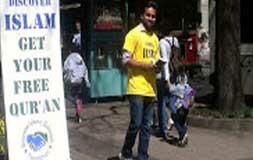 The Dawah/Information team were well prepared and built bridges of communication with the public. The time round we had over 10 volunteers, both brothers and sisters. 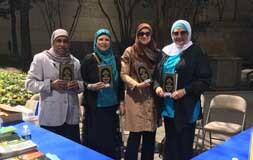 American Islamic Outreach Dawah team would like to thank the volunteers once again for the continuous extensive support.